Over the year, a lot of content management systems have been developed. WordPress and Joomla are the most popular systems and are preferred over free blogging services. Joomla is available as a free download and is licensed under the GNU General Public License. Joomla has a feature rich management system and customizing a website is fairly simple. Before you customize a website, you need to install the latest version of Joomla on your local machine. Once this is done, you can use your templates and modify it according to your needs. 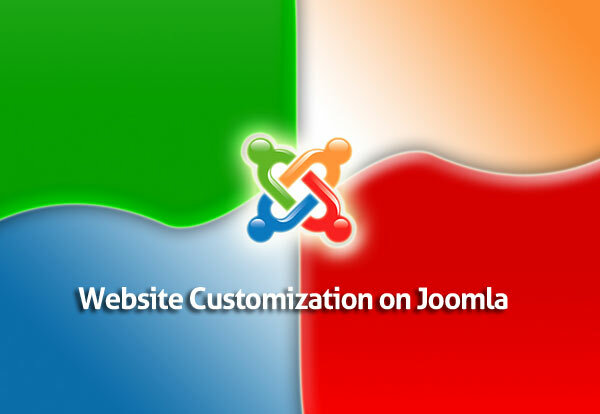 Let’s look at some tips and tricks for website customization on Joomla. To access templates to be used on your website, you need to go to ‘administrator’, which is in ‘joomla’ under ‘localhost’. You can use the default user credentials and login to the backend as an admin by keying in ‘1234’ as the password. Once you login to the Joomla backend, you can go to the ‘Template Manages’ located under ‘Extensions’ to see the list of templates that you have installed, including the one that your website is currently using. If you want to install a new theme, you can download it and install it on Joomla by clicking the ‘Install / Uninstall’ button and selecting the theme on the local drive to install it. Once this is done, you can refresh your page to see the changes. When it comes to customizing an individual web page, Joomla does a better job than most other content management systems in the market. By using the parameters in the URL, you can specify different styles for different pages. This can be done by using PHP codes and parameters like the id, itemid, options, view, etc can be changed. Since every item in Joomla has a specific ‘itemid’, you can use it to your advantage and customize the individual web pages. Unless you want to use evenly spaced modules, even for the empty ones, then you will have to reposition the modules while using Joomla. Doing this is simple and for example, if you want to collapse the module on the left when empty, you can either create a new module at the extreme end or you can create a new one. Creating a module will be different for each theme and look for the PHP code that begins with ‘$this[module]’ to know more about the parameters. If you have a website where people will have to register and login to access the contents, then you might want to display a message to the user. This can be done in Joomla by adding a few lines of code. By declaring a class for users who have logged in and by using a loop statement to check for the credentials, you can greet, notify the user or even change the background color and style. Although there are a lot of other ways to do this, declaring a separate class is the easiest and the most efficient way. Using modules on Joomla is very flexible and you can use the existing parameters when you are creating a new module. But there will be instances where you will want to isolate a particular module and make it behave in a way that isn’t shared by the rest of the website. To do this, you can login to the Joomla backend on your local machine as an administrator and click on the ‘Module Manager’ that is located under ‘Extensions’. It will give you a list of parameters that can be edited. These are some of the tips and tricks that will help you customize your website on Joomla.